Plus, Arsenal to keep a clean sheet against Everton. Christian Benteke has two goals in six starts for Liverpool. ON PAPER, MAN City have a better side than Man United. However, the odds on Sunday have been evened up somewhat, as David Silva, Sergio Aguero, Gael Clichy, Samir Nasri and Fabian Delph are all missing for the visitors. Manuel Pellegrini’s side have a poor away record of late, losing five of their last 10 matches on their travels, though they have won six of the past eight league meetings with their Manchester neighbours. Man United, by contrast, are unbeaten at home, and secured an impressive win over Everton last week. And given the away team’s injury problems, Manuel Pellegrini probably wouldn’t be too disappointed with a point on Sunday. Christian Benteke couldn’t make the difference after coming on in the final half hour against Rubin Kazan on Thursday, but expect the Belgian international to get a chance from the start against Southampton this weekend. Benteke managed roughly a goal every second game during his Aston Villa days, and has two goals in six starts for Liverpool so far. Southampton’s defence has often looked vulnerable against the better Premier League teams, conceding three against both Everton and Man United, so the big striker may well profit from their shortcomings in that department on Sunday. Moreover, with Daniel Sturridge still struggling with injuries and Divock Origi unproven at the highest level, there will likely be considerable responsibility on Benteke’s shoulders over the coming weeks. Leicester City currently sit fifth in the Premier League table, and there’s no doubt that England international Jamie Vardy has played an integral role in their impressive form. And the striker is set to feature against Crystal Palace at the King Power Stadium this weekend, having overcome a wrist injury. As Claudio Ranieri stated during the week, comparisons to Brazilian superstar Neymar are premature, but with 10 goals in his last 10 league matches, don’t be surprised if he strikes again on Saturday. Arsenal are likely to be in confident mood as they prepare to face Everton in the late kick-off on Saturday. On Tuesday, the Gunners kept their Champions League hopes very much alive with an impressive 2-0 victory over Bayern Munich, ending the German club’s 11-match unbeaten run in the process. The London club, along with neighbours Spurs, currently have the best defensive record in the Premier League, having conceded just seven goals. Arsene Wenger’s men have a particularly good record at home in the league, where they haven’t conceded since the two goals West Ham managed at the Emirates on the opening day of the season. Consequently, the Toffees will have to work very hard to open up an increasingly accomplished Gunners defence this weekend. Chelsea got back to winning ways against Aston Villa last weekend, while they were unlucky not to overcome Dynamo Kiev on Tuesday, after being denied a clear penalty. The Londoners invariably look much better with Diego Costa in the side, with the Spanish international making a goalscoring return last Saturday, following a three-match suspension. In West Ham, they face tricky opposition. The Hammers are enjoying their best-ever start to a Premier League season, and have beaten sides of the calibre of Arsenal, Liverpool and Man City so far. Nevertheless, with Chelsea looking as if they have regained a sense of stability of late, they will be rightly considered favourites when the two teams meet at Upton Park tomorrow. Email “Benteke to score and 4 other Premier League bets to consider this weekend”. 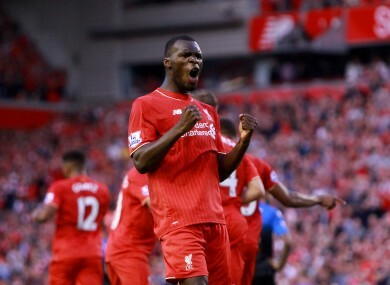 Feedback on “Benteke to score and 4 other Premier League bets to consider this weekend”.